Bound books here at last! Just a quick note: My box of books arrived today! I was all misty eyed when the delivery guy brought them to my stoop. 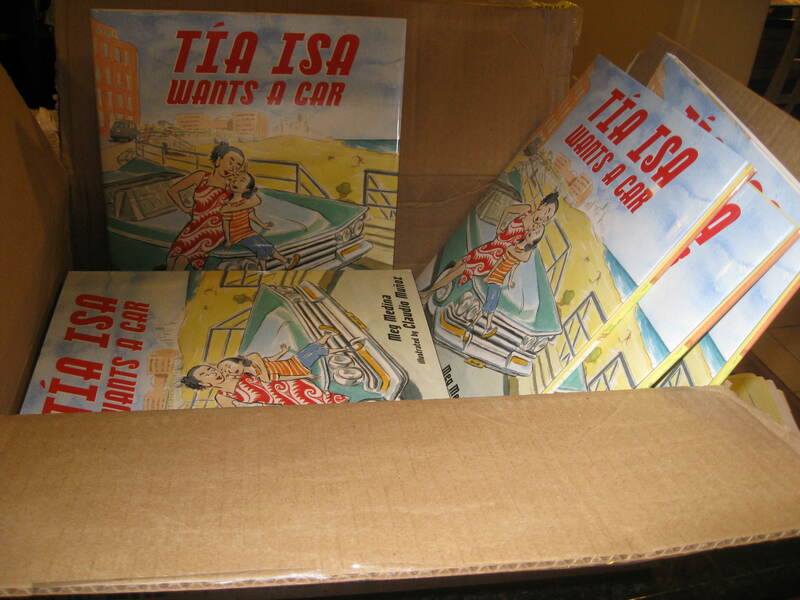 And, here’s the correct link for the review of Tía Isa Wants a Car in PW. Sorry if you had to fish around for the info with the old link. Finally, hope you can come to the book launch at bbgb tales for kids on June 11, 1 – 3 pm or, later in the month, to an arts-crafts-and-reading activity June 26 at Barnes & Noble (Short Pump) 2 pm. Check out events page for other dates. If you could write to your teen self, what would you say? Meg! Oh, yay for Tia Isa! I can’t wait to hold this book and BUY copies for all the little peeps! You must have been so thrilled to see them. They look beautiful (I briefly got to hold a couple copies before I sent them out to reviewers). Very exciting! 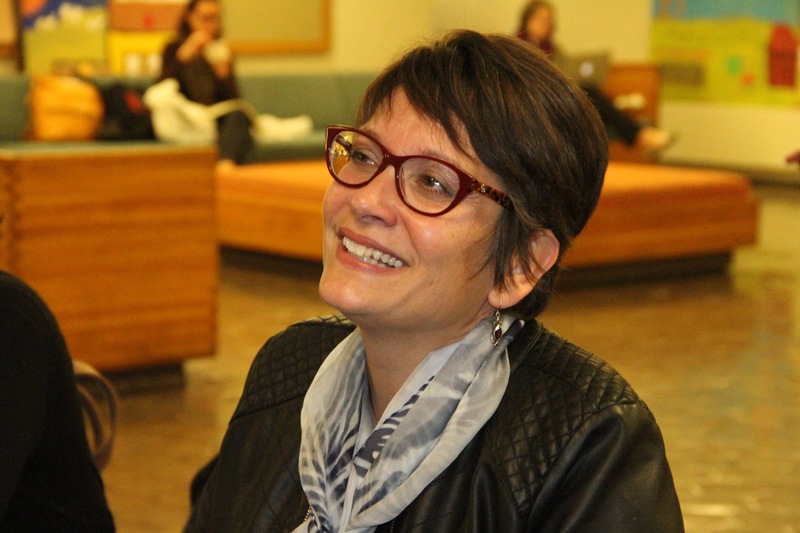 I’m just formatting our interview, which will be running on Two Writing Teachers this-coming Tuesday. I’m so sad that I can’t make it to the party, but CONGRATS on a lovely book and all the great reviews. It’s been a pleasure to work on it with you!